There are a number of subscription boxes out there now days but this one has got to be the best one yet!! 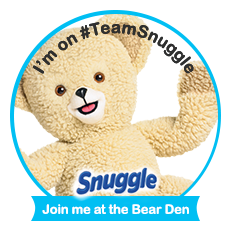 Its fun for the kiddos! 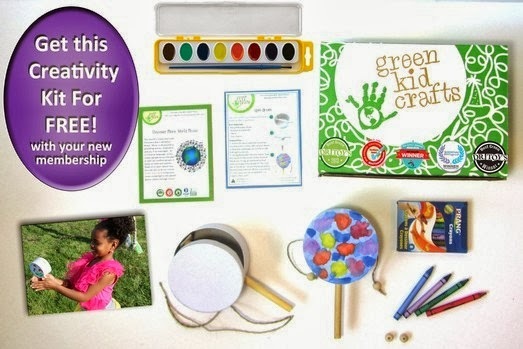 Green Kid Crafts is an eco-friendly, monthly arts, crafts, and science box subscription service for kids that sparks creativity and cultivates respect and love for the environment. Founded in 2010, we are the nation’s original craft subscription service. Each month, thousands of kids all over North America receive boxes filled with fun projects that challenge creativity, develop new skills, and extend into creative play. Each theme-based box includes all the materials to create 4 activities. Previous box themes include Outer Space, Backyard Science, and World Music. Each project is designed by parents and tested by kids. Green Kid Crafts’ mission is to inspire future generations of environmental leaders while serving as a model for sustainable business and growing demand for earth friendly, sustainable craft supplies.Green Kid Crafts donates a portion of sales to environmental charities through its membership in 1% for the Planet. The company is certified carbon neutral through CarbonFund.org, and Green America Approved. 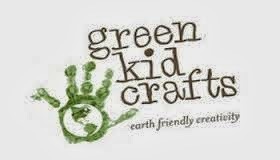 All of the materials in Green Kid Crafts line of craft kits and supplies meet our standards for sustainability and are reusable, recyclable and/or compostable and sourced from nature. You can see more specifics on our ‘eco ingredients’ here. Read more about our overall commitment to Social Responsibility here. Each month brings a new theme relating to arts, crafts, and science; past themes have included Backyard Science, Planet Protector, Around the World, I Love Bugs, Outer Space, and Feathered Friends. All Green Kid Crafts Subscribers receive a copy of Green Kid! Activities Guide (a $5.95 value) for free every month. Each issue is filled with tons of additional content for continued exploration and discovery all around the month’s theme, including additional parent resources, book recommendations, puzzles, games, coloring activities, and much more! Subscribe to Green Kid Crafts for $19.95/month, or send a gift subscription for a 3, 6, or 12 month subscription plan. Sibling subscription packages and digital subscriptions are also available. Subscribe or learn more at GreenKidCrafts.com. You can learn more about our subscription program here. 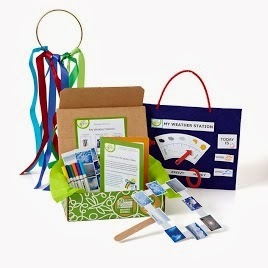 I received Discovery box #12 ~ My Weather Station! The crafts were a Wind sock, My Weather Station and Cloud finder! My daughter could not wait to make the Wind sock! I think she did an AWESOME job with the wind sock! It is now hanging on our front porch for everyone to see! The Green Kids Crafts discovery boxes are easy to understand and put together and take very little supplies. It took my kids just a few minutes to read the instructions and began putting them together! disclosure~ this is a sponsored post from Sverve on behalf of Green Kid Crafts discovery box. I received a box in exchange for my review.